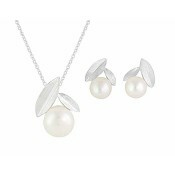 This freshwater pearl necklace and earring set features a freshwater pearls encircled by a band of silver and finished with a single cubic zirconia stone. 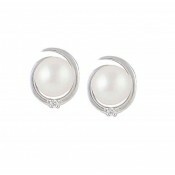 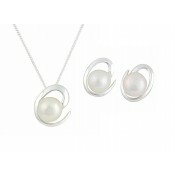 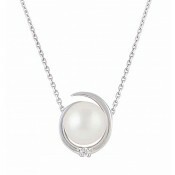 The perfect necklace and earring set for any woman who loves pearls or is looking for a classic timeless jewellery look. 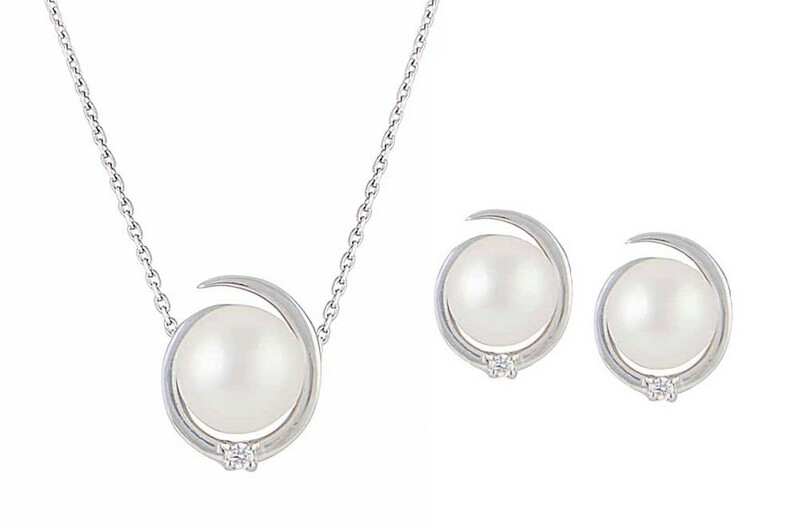 The necklace and earrings are also available to buy separately.